I'm happy to take part in another round of Kill, Refurb, Marry as part of the wonderful network of blogs brought together by Mouse On The Mind, and This Happy Place! Today we're tackling the topic of TRANSPORTATION AT DISNEY WORLD! 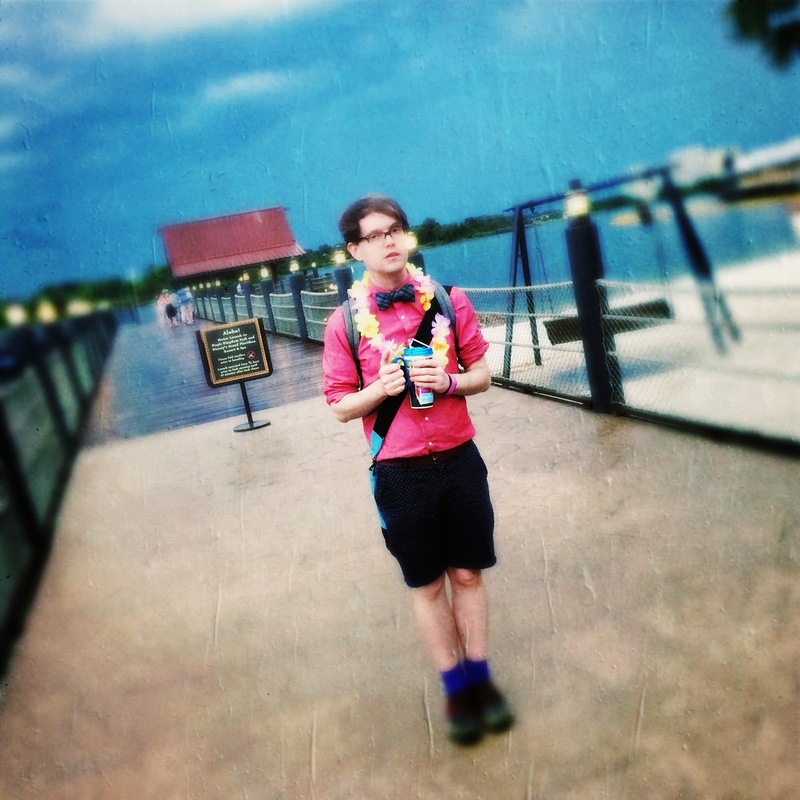 but here is a random shot of Adam at the Poly OVERLOOKING the lagoon. Duh. I understand that this is the most efficient way to get to the Magic Kingdom from the Ticket and Transportation Center, especially given the current state of the monorail, I also think that the view is genuinely amazing. However, five years of commuting on the Staten Island Ferry has given me a horrible association with ferryboats. And guess what? The announcement of the Magic Kingdom ferry mentions the Staten Island Ferry by name, and that just sends shivers up my spine. Sorry. I'm killing the ferry. Is there anyone reading this who wouldn't have the monorail on their refurb list? This thing is nearly as iconic as Cinderella Castle, but has been in horrible disrepair for several years. It's a rare treat to take the monorail without it stalling or breaking down completely. Time for a new fleet Disney World! I know this is sort of cheating, but there is no better way to get from certain points at Disney World than your own two feet. (in particular, MY feet...you see, I walk pretty fast.) The walk from Hollywood Studios to Epcot is seriously one of the most pleasant walks you may ever take, and a fun way to break the monotony of busses/boats. Perhaps the most charming walk of all is between the Contemporary and The Magic Kingdom, at dusk...and on your way to Mickey's Not So Scary Halloween Party. Thank you feet, you're amazing. Haha I love your marry choice! And I'm with you on that. I enjoy a good walk.